Ready to take charge of your health? To do so, you need to focus on your gut health. Too many people focus strictly on eating health foods, but you must keep in mind that if your body cannot absorb and utilise those foods properly, you simply won’t be seeing the results you want. Healthy foods are only healthy, after all, if your body can absorb them. 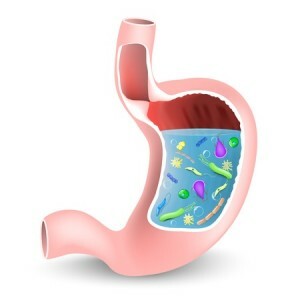 Maintaining proper gut health, which means maintaining healthy bacteria in your gut as well as the proper pH level is going to help increase nutrient absorption and decrease unwanted symptoms relating to indigestion such as gas, bloating, or constipation. Unsure how to improve your gut health? First things first, you’ll want to start consuming more fresh raw vegetables. As these foods are in their most natural state, they tend to place the least amount of stress on the digestive system and to add to that, all the dietary fibre found in these foods will help to ‘clean’ up your digestive system, helping with the removal of excess waste. Aim to get at least 3 servings of raw vegetables per day (and likely more that are cooked as well). Next, also focus on snacking on fruits that contain digestive enzymes. While all fruits will be healthy for your body, some are healthier than others thanks to these enzymes they contain. The best fruits? Pineapple and mango. Both of these have an excellent supply of enzymes that will help break down food after you consume it, so serve some as a light dessert after a meal. If you often struggle with indigestion, this is a great way to address this problem. It’s also smart to consume natural probiotics. 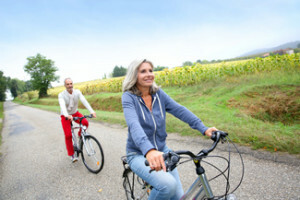 While you can simply take a probiotic supplement, you’ll find that you see superior results if you choose to use wholesome natural foods instead. 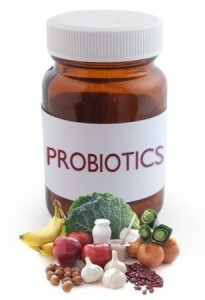 Probiotics are the healthy bacteria that live inside your gut and help keep your immune system strong while also helping ease digestive related symptoms such as gas, bloating, and so forth as noted above. Foods that contain natural sources of probiotics include yogurt (just be sure that it does say that it contains ‘live cultures’), kambucha, sauerkraut, and kimchi. Just one serving a day of any of these foods will help get your digestive system back on track. Finally, one of the most important things to do if you hope to feel your best overall – not just with your gut health but every other element of your well-being, is to stop consuming refined foods. Refined foods not only provide zero nutrients to the body, but in addition to that, they’re very stressful for your stomach to break them down. Refined foods can actually deplete your body of nutrients it otherwise would sustain adequate levels of, so they really will be doing more harm than good. As you eliminate refined foods, also be sure to watch out for foods that are hidden sources of sugar. Even if the food otherwise seems natural, if it does have this refined sugar in it, it’s still not an ideal option for you. So there you have four great gut health boosting tips. What have you done for your gut lately? Make sure you aren’t overlooking this element of proper health.